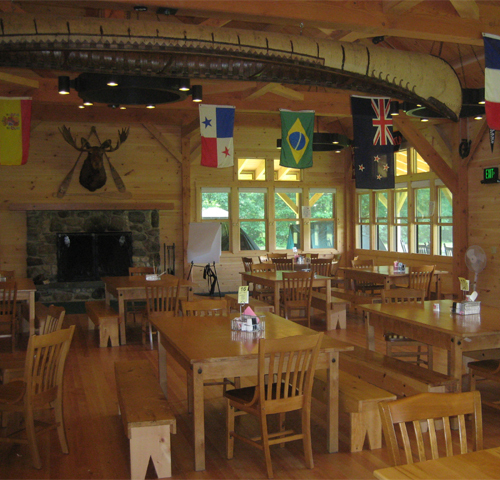 The Songadeewin Dining Hall is a dining facility for a summer camp for girls located at Lake Dunmore in Salisbury, Vermont. 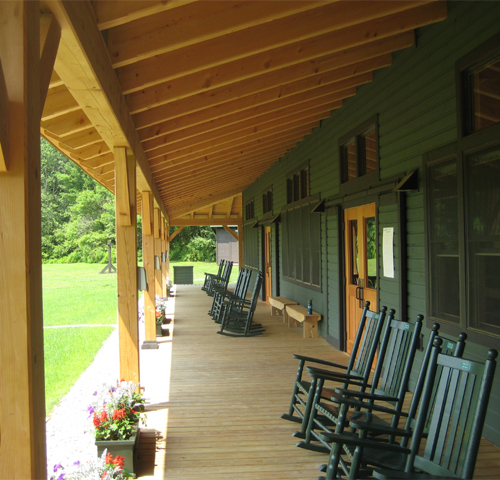 The dining hall serves the approximate 200 campers and staff that the camp accommodates every year. 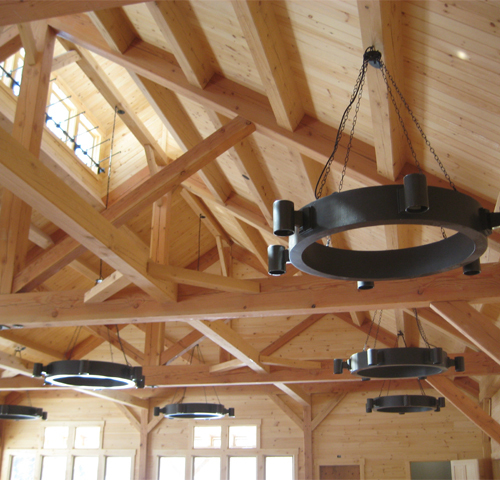 Wooden trusses are exposed throughout the dining facility and clerestory windows provide additional natural light to the space. 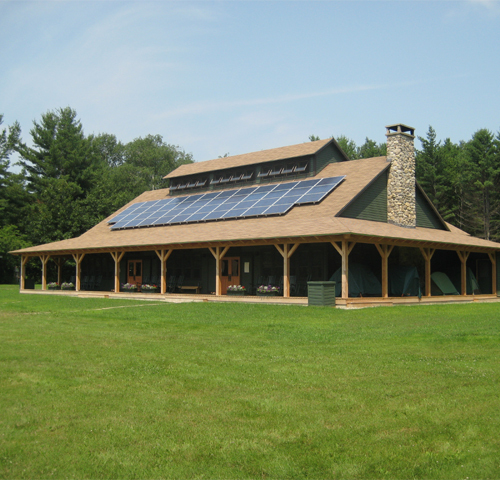 The design of the building reflects the architecture of the camp while being eco-friendly by using local materials, solar domestic hot water, and photovoltaic panels.